Louis Reznick is self-publishing his first book with Outskirts Press, and he wants your help deciding on his book cover. Is Laughter Really the Best Medicine? Take This Book, and Find Out! 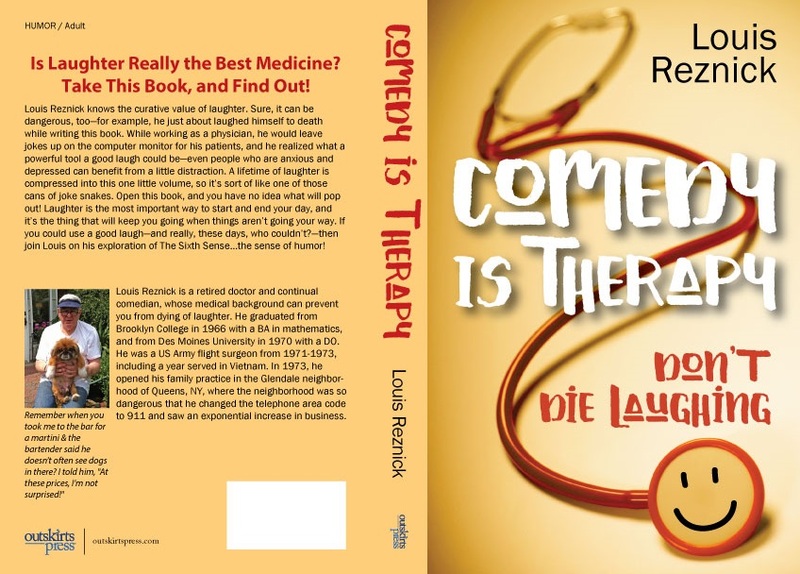 Louis Reznick knows the curative value of laughter. Sure, it can be dangerous, too—for example, he just about laughed himself to death while writing this book. While working as a physician, he would leave jokes up on the computer monitor for his patients, and he realized what a powerful tool a good laugh could be—even people who are anxious and depressed can benefit from a little distraction. A lifetime of laughter is compressed into this one little volume, so it’s sort of like one of those cans of joke snakes. Open this book, and you have no idea what will pop out! Laughter is the most important way to start and end your day, and it’s the thing that will keep you going when things aren’t going your way. If you could use a good laugh—and really, these days, who couldn’t?—then join Louis on his exploration of The Sixth Sense…the sense of humor! 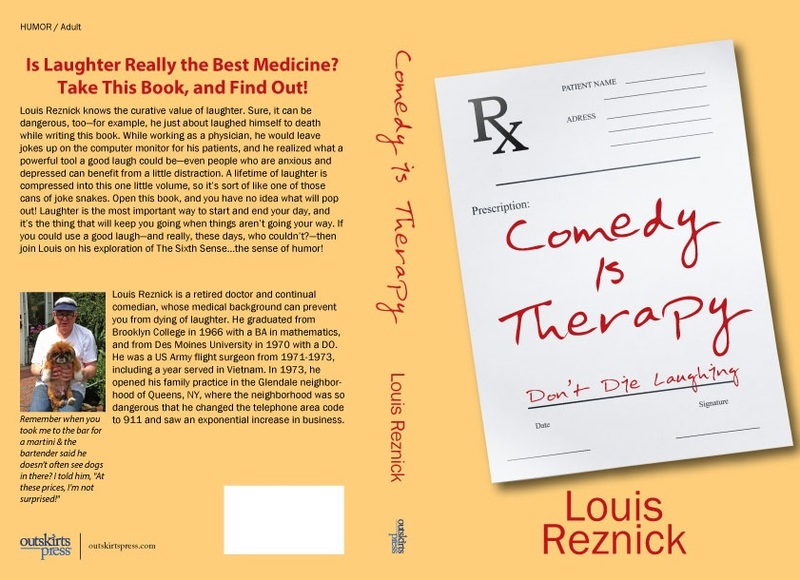 Louis Reznick is a retired doctor and continual comedian, whose medical background can prevent you from dying of laughter. He graduated from Brooklyn College in 1966 with a BA in mathematics, and from Des Moines University in 1970 with a DO. He was a US Army flight surgeon from 1971-1973, including a year served in Vietnam. In 1973, he opened his family practice in the Glendale neighborhood of Queens, NY, where the neighborhood was so dangerous that he changed the telephone area code to 911 and saw an exponential increase in business. Please take a look at two possible covers below and then vote on the choice you recommend for Louis. Next Next post: How does Outskirts Press love thee? Let us count 300 ways!